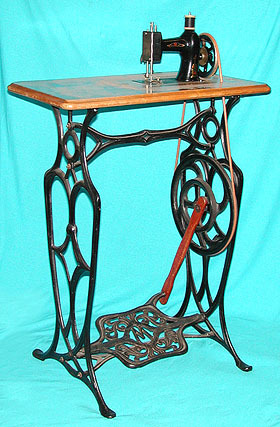 toy sewing machine - Muller 21 treadle. The Muller Company married several of their more substantial offerings to ornate treadles. In this instance, a standard No.19 head became listed as a No.21 in such a configuration.